Had White & Case worked for Russia or Bulgaria? The international law firm White & Case that, as we recently learned, has represented Bulgaria’s National Electric Company (NEC) against Russia’s Atomstroyexport (ASE) in the unsuccessful case for 600 million euro in the Arbitration Court in Geneva, has a contract to represent the Russian Federation as well. White & Case represents the Russian State, which owns Atomstroyexport, in the case for 50 billion US dollars against oil giant Yukos. This has emerged from a motion to recuse or disqualify a US district judge on 19 November 2015 before the district court of Columbia, Yukos shareholders alerted the court that they were “investigating prior attorney-client relationships” between them, their affiliates, and White&Case. The case is described in the renowned publication Legal Business. It lists the names of the lawyers from White & Case representing Russia before various jurisdictions. 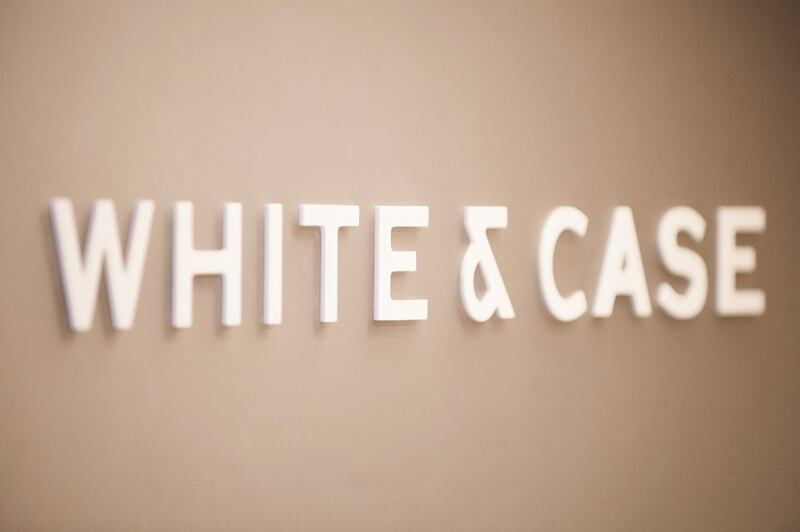 White & Case has been representing the Russian Federation in the case of “Yukos”, in which the Russian Federation was sentenced in 2014 by an international arbitral tribunal in The Hague to pay 50 billion US dollars to shareholders in the defunct oil company. This represents the largest arbitral award in history and hits right at the heart of the Russian State and its financial and economic interests. At the end of 2015, when it sealed the contract with the Russian Federation, White & Case had already committed to the defense of NEC over the unbuilt Nuclear Power Plant in the Bulgarian Danube town of Belene. Therefore, White & Case represents the interests of the Bulgarian State company against a Russian State company, yet simultaneously defends Russia in a case of utmost importance for the Russians and whose legal defense is a top priority for the country. In order to represent Russia, White & Case (as well as any other firm in such position) must conform all its interests and actions to the will of the Russian Federation. One should not ignore the fact that representing Russia in a case for 50 billion US dollars is much more lucrative than representing Bulgaria in the case of NEC against ASE for several hundred million dollars. Therefore, one might wonder for whose interests White & Case have really worked and whether there has been a severe conflict of interest? Let’s give in to Russia without a fight. What have White & Case achieved so far in protecting the interests of Bulgaria? A miserable outcome of the arbitration, failure to appeal timely in the Swiss Supreme Court and to top it all – an odd advice from the same firm not to attempt to remedy before a Bulgarian court where ASE must request recognition and enforcement of the award. The standard approach in such cases is to appeal the decision of the arbitration before the local court, where the arbitration case has taken place. This is also what the Russian Federation has done in the Yukos case through the same law firm and won in first instance. The court in The Hague, where in 2014 Russia lost against Yukos, overturned the entire arbitration award. Rather than logging an appeal of the arbitration award in Geneva, in the Bulgarian case, White & Case have advised NEC to give up with strange arguments such as Swiss courts rarely recognizing the appeals, high cost and accruing interest, the danger that ASE could ask the bankruptcy of NEC and sell the equipment to secure its claims. It turns out that Bulgaria is being pushed by its lawyers to make the arbitration award unassailable and grant emergency State aid to enable NEC to settle with ASE, contrary to all standards in such cases and the evidence of precisely opposite actions in favor of Russia, in frank violation of State aid rules. and its lawyers are, most likely, working on it. It seems that the rush to pay Russia without any resistance, as is the advice of White & Case, is serving the interests of the big client – Russia – to the detriment of Bulgaria. Is NEC in conflict of interest over White & Case? Upon sealing an agreement with the Russian Federation in the presence of an existing Bulgarian case (NEC) against the Russian Federation (owner of ASE), the rules require White & Case to inform their client to determine whether there is a conflict of interest. The questions that Bivol sent to White & Case and NEC remain unanswered. The options are not that many, and both are scandalous – either White & Case failed to notify NEC that they have taken over the case Yukos, which is a serious ethical violation and will have global repercussions for the reputation of the company or NEC has been notified, but did not have anything against this, thus it has sabotaged national interests. The deadline for referral to the Bulgarian court to decide whether to allow enforcement of the award has not yet expired. From a legal viewpoint, actions can and should be undertaken, especially against the alleged bad faith of the law firm that has represented NEC and Bulgaria, but in fact worked for Russia with much more serious motivation. At the moment, everything indicates that the government, NEC and White & Case acted and continue to act against the interests of the country while taxpayers have been once again burdened with footing the bill.